The holidays are a time of joy, cheer, family, friends, and of course, tons of traveling. While you’re on-the-go, you may not have access to your dentist if a dental issue or emergency occurs. Because dental disaster can strike at any time, your best defense is a good offense. 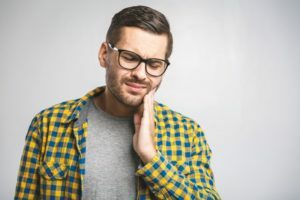 Keep reading to learn 5 tips on how to avoid dental emergencies during the busy holiday season from a trusted dentist. Nuts are packed with protein and fiber, making them a good snack, but their hard shells can cause real damage to your teeth. Your best bet to avoid cracking or chipping your teeth is to buy pre-shelled nuts or to use a nutcracker. After all, it is the holiday season, so leave the cracking to the professionals. Using your teeth for anything other than eating is often a quick way towards a dental emergency. Although your tooth enamel is the strongest material in your body, it can still break when used on non-food items. The combination of seasonal libations and ripping of packages makes using your teeth seem like a good idea. Instead, reach for scissors or a bottle opener so you don’t crack, chip, or even lose a tooth. Watch out for holiday candies like caramel and taffy that cling and stick to your teeth. These stay in contact with your smile for long periods of time, increasing your risk of cavities, decay, and toothache. They can also dislodge fillings in your mouth, exposing the sensitive inside of your teeth. If you need your candy fix for the holidays, try chocolate instead. This yummy treat dissolves and washes away much faster than sticky and chewy candies. Chewing on hard candy and items like ice cubes can crack your teeth out of nowhere. Cracked teeth are painful and pricey to fix, so you should avoid chewing on hard items altogether. Next time you’re debating chomping on the ice cube at the end of your drink, remember the potential damage that it can cause. Nerves are often at an all time high during the holidays, but don’t let this turn you into a nail biter. This habit is linked to teeth grinding, jaw problems, clenching, sensitive teeth, and facial pain. To avoid this nasty habit, try to distract yourself or paint bitter-tasting polish on your nails to curb any chewing. Use these tips to keep your teeth safe for the holidays. That way, you can travel around for family and friends while avoiding a trip to the emergency dentist. Dr. C.J. Landry brings over 30 years of experience in dentistry to each smile he treats. He takes great pride in offering quality general dentistry services as well as emergency treatments when you need it. He currently practices at Lapalco Family Dentistry, and he can be contacted through his website or by phone at (504) 348-0080 for any questions.